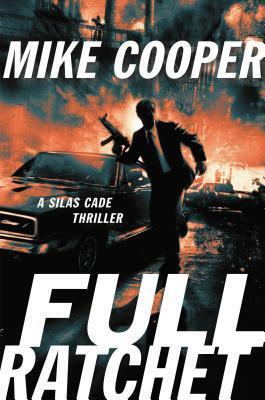 Fans of Lee Child's Jack Reacher and Vince Flynn's Mitch Rapp will want to add Silas Cade to their lineup. Cade, the tough-guy auditor antihero introduced in Clawback, employs a brand of financial reform that comes with plenty of firepower. Needing a respite from Wall Street, Cade jumps at a job opportunity in western Pennsylvania—but finds that Main Street is just as dirty. The job seems easy enough—check out a Pittsburgh manufacturer and file a report—but Cade quickly discovers corruption at every level. His revelations catch the attentions of hair-trigger Russian mobsters and a blonde assassin named Harmony. Cade’s estranged brother is dragged into the fray as the tension builds to bullet-riddled showdowns across defunct steel mills, forests, and Appalachian fracking fields. Cooper again delivers a timely plot involving Wall Street greed, financial corruption, and the plight of blue-collar workers. FBI agent Manny Tanno is taking some much needed R and R at the site of the Battle of Little Big Horn. But when a death on the reservation cuts his vacation short, he learns that the secrets of the past have a way of stirring up trouble in the present. 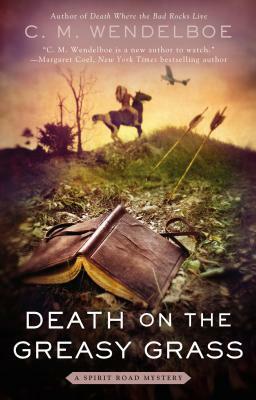 Manny’s trip to the Crow Agency Reservation turns out to be ill timed when a reenactor of the Battle of Little Big Horn is killed right in front of him. It turns out the victim was the one who found Levi Star Dancer’s famed diary and was planning on selling it to the highest bidder. And while the dead body is hard to miss, the coveted book is nowhere to be found. Now, Manny has to watch his back while searching for a murderer and the missing journal, because this slippery killer will do anything to make sure the past stays buried. Gourmet health food caterer Gigi Fitzgerald is used to helping dieters drop a dress size. 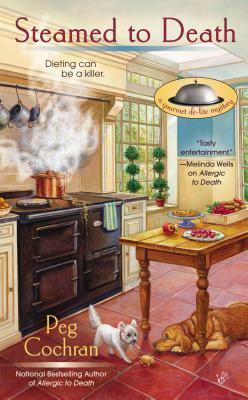 But when her clients start dropping dead, she’s ready to switch her chef’s hat for a detective’s cap and track down a killer. . . Aging soap star Felicity Davenport is looking to revamp her image, and she’s using Gigi’s Gourmet De-Lite to help her shed a few of those unwanted pounds. Having such a high-profile client is definitely good for business, but when Felicity is found murdered in her sauna, things start getting too hot for Gigi to handle. The list of suspects is a mile long, and Gigi’s best friend, Sienna, is at the top. Refusing to let her friend get blamed for a crime she didn’t commit, Gigi is determined to hunt down the real killer. But, as the case reaches a boiling point, Gigi will have to be careful or she could be the next one getting burned.